Sessions will include tips on having a successful private practice, how to help clients contend with issues in the workplace, best practices for using assessments with clients and more! Attendees will earn 4.5 CEUs after attending the full day's program. We want our clients to understand there's a big world out there, full of opportunity and dream jobs waiting to be discovered. 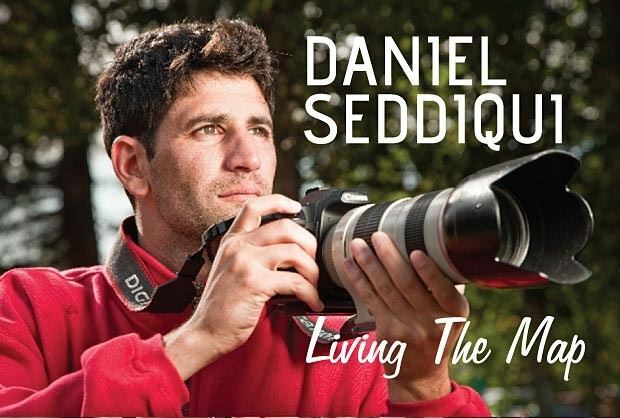 Daniel Seddiqui will share his unique career journey of working 50 Jobs in 50 States and his observations of how many of us choose to put ourselves in a bubble, truly limiting our career aspirations. View Daniel's TEDx video, 50 Jobs in 50 States here. Attendees will have the option of choosing between various topics during breakout sessions. Robin Schlinger -- "How to Qualify Your Clients for a Federal Job"
Many job seekers want to search for Federal jobs - or you may think they may be a candidate for a Federal job. Before applying for a Federal job it is important they select the right Federal job to apply for. Most potential job seekers and many resume writers do not know how to find and read job announcements to determine if a client can qualify for a Federal job. This session will help a resume writer or Career Coach who is not experienced in reading Federal announcements or writing Federal Resumes help their client select appropriate positions to pursue. Robin Schlinger, has been coaching clients and adding value to Federal and Civilian resumes since 2001. In 2006, she started her own company, Robin’s Resumes®, focused on Federal, technical, and executive resumes. She holds numerous resume writing and career coaching certifications. Lanie Damon -- "A Foundational Piece of Lifespan Career Development – The Highlands Ability Battery"
This presentation will be based on more than 20 years of experience using the Highlands Ability Battery in varied settings with clients ranging from high school students to mid-career and beyond adults. Understanding abilities enables individuals to function from a position of strength and appreciate the contributions of others whose abilities are very different. Continued career development requires that each of us adds skills to our abilities as we move through various roles and positions in our lives. Knowing one’s abilities makes the choice about skills acquisition more straight forward, or at least awareness of what should come more easily or what will require greater effort and concentration. This is an assessment based on timed work samples, very different from the self-report format of many assessments used in career counseling. Lanie Damon, M.S., has more than 20 years of experience in various areas of career management – private practice, supervision, higher education, consulting, outplacement and training. She holds an M.S. in Education/Counseling from the University of Kansas, and NCC, Georgia LPC, DCC and BCC certificates. Having been trained in multiple assessment instruments, she will be sharing with you about her favorite, the Highlands Ability Battery. Lanie has presented in the past to GCDA, and at the Georgia LPC annual conference. She has taught middle school and at the college level, as well as having presented hundreds of career related workshops over the years. David Harris & Charlotte Hayes -- "Thinking About Starting or Growing Your Private Practice?" Starting a Private Practice/Growing an Existing Practice! Both Harris and Hayes run successful private practices and want to help you discover YOUR vision for your practice. In this fast-paced and experiential workshop, we will discuss the importance of understanding YOUR expertise; understanding your ideal client(s) and developing a practice budget. We will also explain how to approach marketing your practice including conducting market research; what actually works in private practice marketing; and developing a specific Marketing Plan. Finally, we will share what it is like to deliver private practice career coaching: understanding matching client needs with deliverables; scheduling; and the importance of peer supervision and consultation. With over fifteen years experience, Charlotte Hayes, MA, LPC runs a private practice specializing in counseling and consulting. She has guided hundreds of clients toward a better career and more meaningful work. Charlotte is a certified Job and Career Transition Coach and a Past-President of GCDA. David is the co-founder and Executive Director of Rock Springs Positive Coaching, Caring, and Counseling, Inc. David has been in practice as a professional coach and organizational consultant for over 10 years. In his career and leadership coaching practice, he seeks clients with challenging assignments who desire personal growth, professional advancement, or relational adjustments. He is strongly committed to helping clients develop a deeper understanding of life, work, and relationships. Terry Wynne -- "Employee Abuse in the Workplace"
This seminar addresses verbal, psychological, and emotional abuse among employees, customers, and managers in the workplace. Stimulating and controversial, this seminar deals with recipients of employee abuse and identifies ways to deal with them. This seminar also discusses the values, mindsets, responsibilities, recourses, and choices necessary to create a respectful workplace. Terry L. Wynne is the founder/owner of The Professional Edge, an organization specializing in career counseling, coaching, training, writing, and voiceovers. For over 25 years, she has provided career counseling or career coaching to over 2,000 clients ranging from entry level to CEO. She has also provided training for national and state conventions, corporations, professional organizations, colleges, universities, technical schools, and cruise ships. As a writer, she has written training materials; commercials; audio-visual presentations; brochures; and articles for web sites, newsletters, newspapers, and magazines. She has hosted her own talk show radio program as well as been a guest on a number of local radio programs and is a voiceover talent. Terry is committed to helping people improve the overall quality of their lives. Lisa Conley -- "Boomers to the Left, Millennials to the Right, Gen-X Stuck in the Middle: Strategic Career Coaching for the Forgotten"
Most organizations are keenly aware of the challenges of a multi-generational workforce. They are conscious of the potential “Brain Drain” that will be faced as Boomers start to retire. Concurrently, more than a few articles and books have been written on the needs of Millennials entering and already inside the workforce. However; what is missed in this awareness is the fact that the Gen Xers are not retiring along with the Boomers. Ignoring the needs of this group could prove to be a strategic mis-step for talent management efforts, even though this group is smaller than their bookend counterparts. The purpose of this session is to discuss career development strategies for this somewhat forgotten group. Lisa Conley is the Organizational Development Manager for the Board of Regents/University System of Georgia (USG). Lisa started at the USG in January of 2013. She is the program manager for USG Executive Leadership Institute, and designs and facilitates professional development programming for staff at the University System Office. She is also a member of the USG Professional Development Consortium leadership team. Prior to coming to the USG, Lisa spent 13 years in administration at Georgia Tech managing programs in several areas including Executive Education, Professional Education, and Alumni Relations. Lisa has also served as an adult education instructor for Literacy Action Incorporated. She has presented workshops on Career Development, Thriving Through Change, and Performance Management. Most recently, she delivered the keynote speech for the Engage West staff career development day at the University of West Georgia. Lisa earned a Master of Education degree in Adult Education & Organizational Development from the University of Georgia and a Bachelor of Science in Integrative Studies from Clayton State University. Julie Denise -- "Career Transition via Small Business Ownership"
Who is buying franchises and why? What makes franchising a compelling choice for mid-career executives that have faced prolonged periods of unemployment or under-employment? Provide basic information on franchise business models and industries. What are the costs of franchise business ownership and possible financing arrangements? Research methodology that reduces the risk in making the investment and the preparation needed by the client. After 30 years in financial services and two major career transitions, Julie embraced small business ownership by becoming a franchise consultant with FranNet. FranNet is a national franchise that primarily helps clients find out if business ownership is right for them at no cost to her clients. Franchising, unlike the corporate world, enables franchisees to change industries. Franchisors are looking at what skills and talents a potential franchisee has developed over their careers that can be transferred to the executing the business plan. Her process is comprehensive and customized. Julie has enjoyed the freedom and flexibility her business has provided over the last four years, she regularly conducts seminars to help education potential franchisees and as well as conduct workshops on small business financing for SCORE, which is part of the SBA. Judi Adams -- "Why and How to Work a Target Company List"
Many job seekers have been told they need a list of target companies but may not have been told how to identify and use that list of companies. This program will clarify the purpose of identifying companies to target, three tools to use to identify these companies, and then how to use the list to network into the hidden job market. Tools include a free, extensive database of companies, a published list of metro area companies sliced and diced in different dimensions, and maps of companies in the metro area by industry to share with your students and clients. This dynamic and engaging speaker is a 20+ year veteran of Information Technology. Ms. Adams founded RightChanges in February of 2009 and her clients have had phenomenal success. RightChanges’ clients who completed the personal coaching series landed in jobs they wanted. RightChanges is a professional affiliate of Crossroads Career Network and has been selected as the preferred vendor for outplacement services by local corporations. Dr. Betsy Johnson -- "Defining Your Client’s Value Using MBTI Assessment Results and How to Market Them to Employers"
Through a review of individuals’ strengths identified using the MBTI preferences, connections to work values sought after in the workplace can be made. Participants will learn more about what employers are seeking in candidates today and how their clients can make quick and meaningful value propositions to those employers. In addition, participants will identify ways in which they can convey their value to current employers.